As the number of violent incidents in urban areas across the United States grows on a daily basis – wearing body armor is becoming a necessity for law enforcement agents. Body armor is an invaluable part of the day-to-day work of law enforcement personnel. People working in this sector have to deal with many dangers – unprovoked attacks, organized crime, urban unrest and even assassination attempts. They often have to diffuse situations, where armed and volatile individuals are threatening to harm innocent people. This means their own health, safety and life are often at risk. This is where body armor comes in. Law enforcement agents frequently become the target of pre-mediated assaults, terrorist attacks and random acts of violence. They also patrol areas of danger and high crime with varying levels of threat. As it’s getting easier to acquire semi-automatic and higher-calibre weapons, more and more police departments and civilians are opting for higher levels of protection. For general patrol duty and survival purposes, a concealable, soft body armor vest in Level III will do the job. It provides the highest blunt trauma protection rating in soft body armor. The best for very high-risk situations to cover more of the uncommon or unusual threats. It can keep you safe from .44 Magnum Semi-Jacketed Hollow Point, 9 mm FMJ and lower level calibres .40 S&W Full Metal Jacket and .357 JSP. With the increasing number of gun-related incidents in America, vests have become an integral part of the standard uniforms of the military, law enforcement officials, and hostage negotiators. Civilians, ER personnel and firefighters have also started to incorporate body armor in their daily routines to stay safe. Hunters, gun store owners, and convenience store clerks, also use them. Ballistic protection carriers can be categorized under Level IIA, Level II, Level IIIA, Level III or level IV. Level IIA, Level II, and Level IIIA are designed to offer protection against most of the commonly available firearms. These include 9mm, .357 magnum, and .44 magnum firearms. 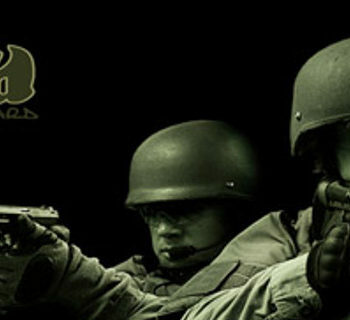 Typically, Kevlar ballistic vests are used for Level II and Level IIIA protection, and hard ballistic plates are used for Level IV protection. Hard plates are made of very resilient and robust materials such as Dyneema polyethylene or some types of ceramic alloy. Given that patrolling is a large part of law enforcement’s working responsibilities, it becomes obvious that the better choice would be a covert vest in level II or IIIA. 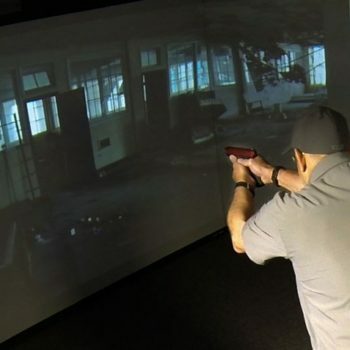 Combined vests with protection against firearms as well as stab and spike weapons are available, which give law enforcement agents peace of mind to conduct daily and nightly patrols of buildings for anyone of ill intent. The main requirement for people working in the sector is being versatile. They often work in close proximity with a lot of people and come in contact with volatile individuals. Apart from small firearms that are easy to conceal, security guards are often attacked with knives, broken glasses and even needles. This means they need vests that offer stab and spike on top of ballistic resistance. Because of the nature of their work, law enforcement agents deal with large crowds of people. Situations frequently escalate and turn violent within minutes, which means they should always be prepared for a variety of attacks. Public events and gatherings make it easy to conceal small firearms, knives and other slashing weapons. This means that, ideally, law enforcement agents needs both ballistic and stab or spike protection. Such carriers are available in covert and overt styles. Concealable (covert) carriers can be worn underneath the standard uniform of law enforcement agents without drawing attention. They are lightweight and comfortable, and if necessary can be fitted with additional SAPI plates to offer a higher degree of protection against semi-automatic and armor-piercing guns. They give a law enforcement agent the peace of mind in knowing he or she is fully protected without making this known to the potential assailant. Overt vests are heavier and bulkier, but have clear benefits in riot-type situations as they are easy and fast to put on and take off. In certain situations it may actually be beneficial to draw attention to the authority of the law enforcement agent as this may deter a possible attack. A stab or spike proof vest is worth considering for security operatives. While a bullet resistant vest can provide a great deal of protection in variety of situations, edged and spiked weapons are just too accessible in the United States and potentially deadly to overlook. Wearing a vest that is designed to stop weapons like knives and needles is a simple way of ensuring that you stay safe and can perform to the best of your ability. Ultimately, law enforcement agents require specific gear, and when acquiring your ideal piece there must be a certainty of the threats and situations that you will be exposed to. Moreover, since there is not a vest that is 100% bulletproof, it is up to the security operatives to stay safe on the job. Remember, your body armor can only keep you safe it it’s worn regularly, maintained properly and certified according to the industry’s standards of quality and assurance. Ben Atkinson is the Communication Executive at Safeguard Armor LLC. 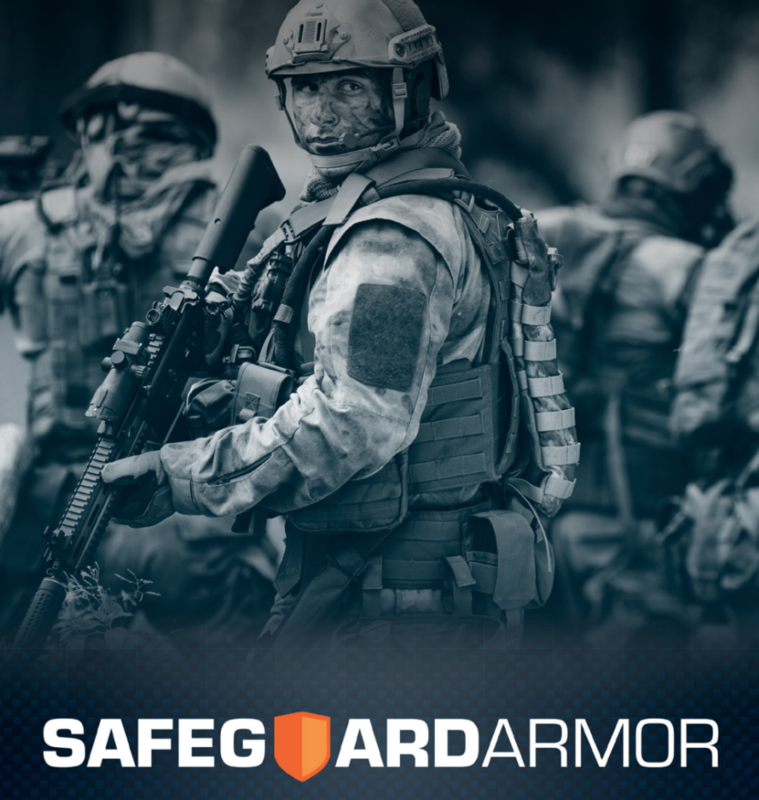 SafeGuard is the premium provider of high-quality, modular body armor. They are committed to developing and distributing a wide range of cutting-edge ballistic, tactical, concealable and lightweight protective vests to meet the diverse needs of law enforcement agents, military operatives, media personnel, civilians and security agents. Our advanced body armor is characterized by its innovative, reliable and modular build – one that sets a new standard of quality in the industry.